What can be happier for a woman than getting pregnant? Of course, it is to be pregnant at the same time as your best friend! 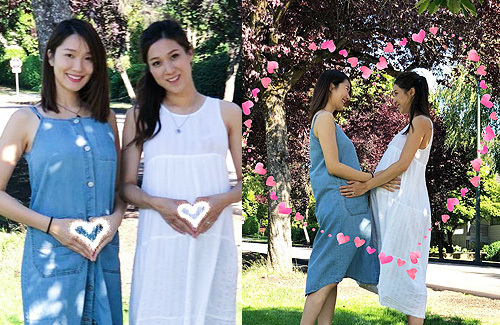 Leanne Li (李亞男) feels really lucky to experience all the excitement and nervousness of her first pregnancy with BFF Linda Chung (鍾嘉欣). After getting married to Wong Cho Lam (王祖藍) for three years, Leanne is finally pregnant. Although she only made the announcement publicly this week, her close friends such as Linda, already knew much earlier. 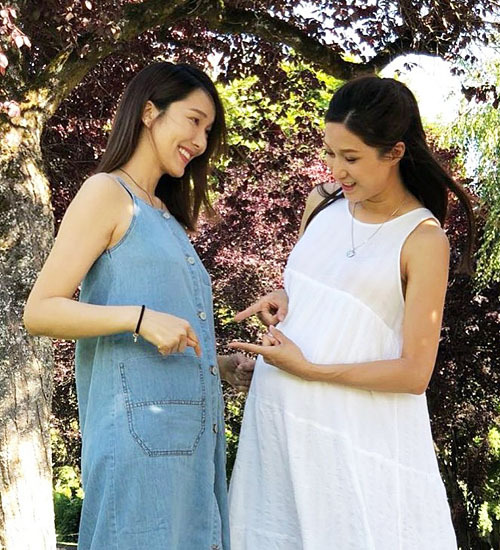 Returning to Vancouver to visit her family, Leanne met up with Linda, who left TVB in March and is currently pregnant with her second baby at this time. The best friends have lots of stories to share about their pregnancies.